The Arc of Illinois is hosting its 68TH Annual Convention on April 25-26 at the Hilton Hotel, 3003 Corporate West Drive, in Lisle, IL. This ARC Conference is a special one at Center for Independent Futures – continue reading to find out why! Keynote presentations at this year’s convention include “Lessons from the Lion’s Den” presented by Matt Cohen, J.D. and “Living a Big Life, and the Power of Community” presented by Emily Colson, Author of Dancing with Max. Matt Cohen combines over 30 years of experience advocating for children and adults with disabilities and parenting. Matt will share insights into transition planning, services, and the real world challenges of parenting a young adult with a disability. Emily Colson, popular speaker and author of the award-winning book Dancing with Max, will share her journey with her son Max, who is 25 years old and diagnosed with autism. After years of isolation, held hostage by autism, Emily made a decision that would change the direction of Max’s life, her own life, and those in the community. Be inspired by the creative ways Emily has engaged both Max, and the greater community. 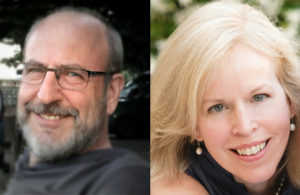 Additional presentations at the ARC Conference will feature the Division of Developmental Disabilities Director, Greg Fenton, and benefits experts Sherri Schneider and Kristin Hartwaw. There are several breakout sessions scheduled over the two days that focus on a variety of topics including Self-Advocacy, Self-Determination, Community Inclusion, Customized Employment, Housing, Government Benefits, ABLE Accounts, Guardianship, Transition Planning, and Person-centered Planning. Center for Independent Futures staff will host two breakout sessions on Thursday focused on our New Futures Initiative to create community-based housing and the Change Champions Project to foster true community inclusion. We hope to see you at the convention!